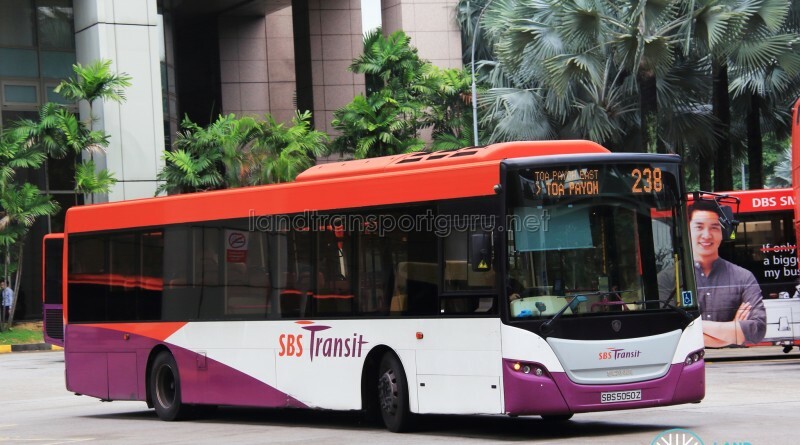 SBS Transit Feeder Bus Service 238 is a Feeder service operating from Toa Payoh Interchange and looping at Lorong 8 Toa Payoh, passing through Lorong 6 Toa Payoh. 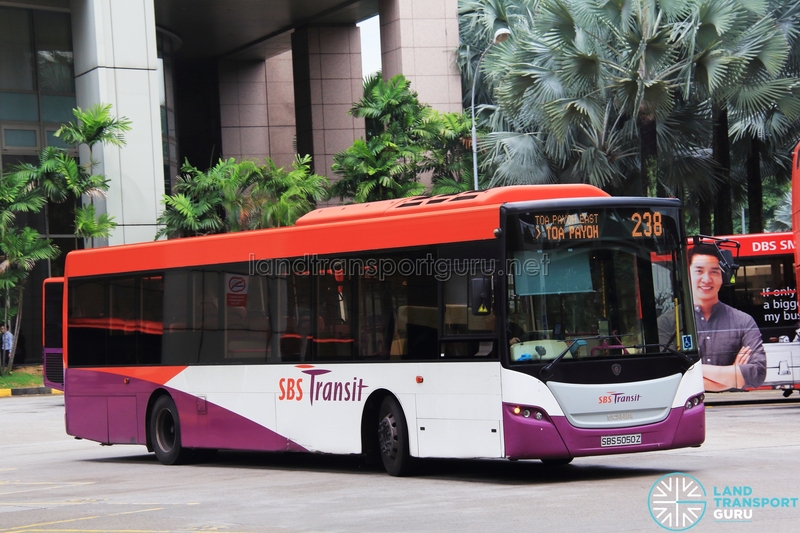 Feeder Service 238 serves residents and schools around Toa Payoh Lorong 6 and 8 to Toa Payoh Town Centre. It is also the only feeder service in Toa Payoh to not serve Braddell MRT. The route benefits from both residential and industrial demand from the estates and Toa Payoh Industrial Park. During Eves of Public Holidays, last bus timings are extended to complement the extension of train operating hours. Fare: Fares for Feeder Services are capped at 3.2km. See Bus Fares for exact fares. There used to be bus 237 a long time ago, along with 238 which plys at Lorong 7 Toa Payoh. It is no longet existing now.